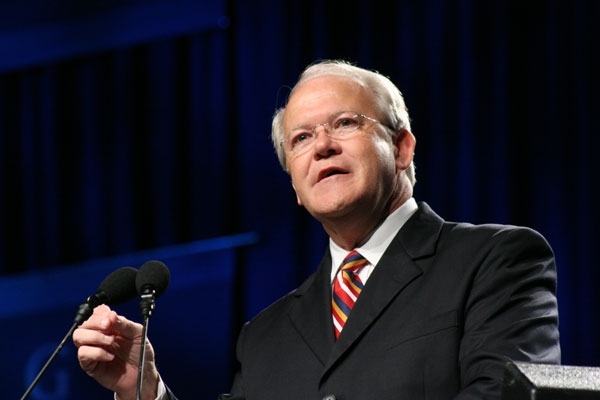 Last week Frank Page, Executive Director of the Southern Baptist Convention, released a report from the Calvinism Advisory Committee that he appointed last year. I was asked to join the committee after their first meeting. I attended the second (and last) meeting last November and participated in some email exchanges last month as the report was being finalized. There has already been much written on this document from those on both sides of the doctrinal divide. I am sure there will be much more forthcoming in the days leading up to and following its formal presentation by Dr. Page at next week’s 2013 Southern Baptist Convention in Houston. I have been asked by several people to elaborate on my published comments about the document and I am happy to do so. Southern Baptists are a doctrinally diverse group who, by God’s grace, agree on the essentials of the faith. As this consensus document affirms, we can no longer afford to allow our doctrinal differences to obscure our substantive and vital areas of agreement. It is my prayer that as we move forward we will do so joyfully acknowledging our unity in Christ and humbly engaging areas of doctrinal disagreements while focusing our energies and passion on spreading the glorious gospel of our crucified and risen Lord to a lost and dying world. To elaborate, there are four main reasons that I appreciate this document. The section on “Truth” outlines nine areas where Southern Baptists have substantive doctrinal agreement. As is true in any argument or debate, focus is often so intently riveted on differences that agreements are often overlooked or forgotten altogether. Perhaps even more often such areas of agreement are simply assumed and not properly celebrated. I am very grateful that this document does not do that, but rather highlights vital areas of doctrinal unity. I am old enough to remember when agreement in those nine areas could not be affirmed across the Southern Baptist Convention. In fact, less than forty years ago, everyone of these affirmations were being contested, if not outright attacked, by someone of influence (professors, denominational workers, prominent pastors, etc.) in the SBC. To those who did not live through those days the fact that we now affirm the inerrancy of the Bible or the eternality of hell may seem passé. But to those of us who remember such vital truths being ridiculed and rejected it is no small thing to have them affirmed without reservation. Too often we take a “snapshot” view of things rather than a “video” view and as a result we wind up with skewed judgments. If you were to take a snapshot of the life of the most spiritual Christian you know and study it in the light of Scripture, you could find thousands of spots and blemishes within the frame because even the holiest person is still stained with sin. But if you put that snapshot into a video over the last twenty years of that person’s life, a completely different picture emerges. The trajectory becomes apparent and the present is more easily evaluated in light of the past and the direction one is headed toward the future. The blemishes are still there, but the broader context causes them to be judged in light of the positive changes that have been made over time. Do that with the Southern Baptist Convention. A snapshot of the SBC today will provide a “target-rich-environment” for fault-finders, and no honest person could contest the many blemishes that could be identified. But put today’s snapshot–or the T5 document as Adam Harwood has mercifully tagged it–into a movie of the last 40 years of the SBC, and the doctrinal agreements that we unhesitatingly share are enough to make one weep with wonder and praise to God for how He has led this association of churches over those decades. I am grateful for our doctrinal agreements. The document does not try to gloss over the real, and at points serious, doctrinal differences that exist among us. A convinced Calvinist and a convinced “non-Calvinist” (as identified in the document) interpret the Bible differently at some key points. I am convinced that the Bible teaches that God, before the foundation of the world elected specific people to be saved without any regard of what He foresaw in or about them. I also am convinced that when Jesus died on the cross, that He actually paid for the sins of those specific people and objectively accomplished their salvation and that He did not do that for everyone. That I hold these distinctive convictions along with the common truths affirmed in the first section of the document comes as no surprise to those who know me well or who have been exposed to much of my teaching. Other members of the committee believe that election is not unconditional and eternal and believe that Christ’s death atoned for every person in the exact same way. They hold to their distinctive views while also adhering to the nine essential truths affirmed in the document. It is obvious that we all cannot be right. At least one of us is wrong. It may be that we both are wrong. But what we both agree on is that the final bar of judgment is the inerrant, infallible Word of God. This common commitment establishes the boundaries of our dialogues, debates, arguments and contentions in our common quest to know, believe and promote the truth that God has revealed. In other words, our differences are real. But they are differences within the family. Therefore, as brethren, the discussion of our differences should be fraternal. That does not mean wishy-washy. It means vigorous, zealous, biblical, humble, loving and kind. Statements from the last section under “Trust” and the first section under “Testimony” address this well. “We affirm the responsibility of all Southern Baptists to guard our conversation so that we do not speak untruthfully, irresponsibly, harshly or unkindly to or about any other Southern Baptist. I am grateful for our honest acknowledgements of our differences. The committee was made up of convinced Calvinists, those who are convinced that Calvinism is, at least in the main, wrong, and those who wouldn’t mind being described as holding to Calvinistic views that are modified. Arriving at agreement on definitions and descriptions was challenging. I have been somewhat amused by some of the complaints I’ve seen about language the document uses to describe various theological positions. Assumptions have been made that it was “the other side” that chose certain labels or phrases when, in fact, just the opposite happened. There is no doubt that if the document had been crafted by only those who are in agreement on doctrines in question that it would read differently. Though I was not involved in the nitty-gritty hammering out of the final wording I feel fairly confident that no one person on the committee would choose to say things exactly the way the document does at various points. But the process was fair and considerate. To my knowledge everyone involved in the effort was very conscientious that no one’s views be inaccurately portrayed. Again, there are points at which I use different language to describe my personal views than what is found in the statement. But I realize that the statement is not seeking to represent only my personal views at those points. I am grateful for the genuine desire to represent doctrinal positions accurately. The one meeting I attended in Nashville was characterized by open, honest exchanges over topics that are potentially very volatile. No one was muzzled nor was anyone or any view favored. There were moments of tense conversation interspersed with light-hearted banter. Above all there was a sense of respect for all who were at the table and a palpable desire to remember that our words were being spoken before the face of the God whom we all love and desire to honor. As such, that meeting provided a wonderful model for how such conversations can and should be held. I wish that some of my friends on both sides of the Calvinism debate could have experienced it because they seem to think that having such a civil, God-honoring conversation with brethren with whom you disagree is either not possible or profitable. I found my participation to be both. We have all heard it and even said it but the Calvinism Advisory Committee proved it once again: It is always far more beneficial to talk face-to-face with your doctrinal “opponent” than it is to address them in writing. The latter has its place and can be valuable, but for understanding your disputant’s views, nothing works better than sitting down and talking directly to each other. I hope that there will be more of this kind of personal engagement in the future. I am grateful for the spirit of love and humility that characterized the effort that went into this document. Southern Baptists owe Dr. Frank Page a debt of gratitude. Some questioned the wisdom of creating the Calvinism Advisory Committee last year, citing numerous reasons why such an effort was doomed to fail and perhaps even make things worse. It did not fail, unless success is defined only in terms of some utopian ideal of exact agreement on every point of theology. But by any reasonable, fair-minded measure, the committee’s work has resulted in a consensus document that can help Southern Baptists move forward in the unity we do have in the gospel as we continue to sharpen and refine each other with challenges in those areas of disagreement. I, for one, look forward to pursuing such efforts of cooperation and refinement in the future. There are still billions of unreached people in the world and Southern Baptists are part of the band of believers to whom the message of salvation has been entrusted. It is a sacred stewardship. My prayer is that we will be able to unite in humility and conviction to take this message of our crucified, risen and exalted Lord to the nations with greater passion and selflessness than ever before.